EMF Camp from Way Back! This is one of my long long overdue planned blogs! 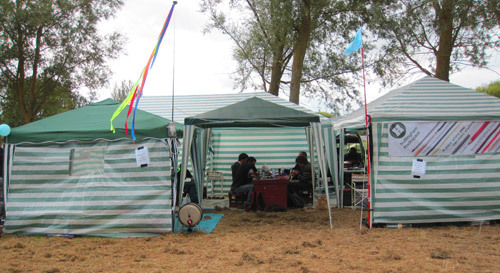 Way back at the end of August / beginning of September five hundred (or so) hackers converged on a field in Milton Keynes and pitched up their tents, plugged in their laptops, 3D printers, laser cutters (ok laser cutter), logged onto the field's wireless network (or wired!) and got on with swapping knowledge and drinking beer. As man in charge (sometimes) of phenoptix, I was there as a (in fact the) vendor for the camp. 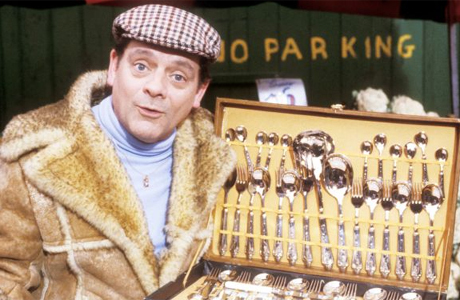 Later dubbed as the silver tongued seller of shiny things. My planning for the event was somewhat hampered by the planning that is involved in selling and moving out of a house. So what happened was I filled three boxes with the things I thought were cool, put them in a van and drove to Milton Keynes! On arrival I was greeted by a staff that seemed to be a many armed beast, fighting the fires associated with running an event for the first time! My Tilda badge wasn't ready yet and nobody was really sure where I was supposed to go. So like the folks at Cheers, I went where everybody knew my name (or at least some of them did!) Nottinghack's super amazing laser enabled camping zone. Unpacking and setting out was the first challenge. I decided to have a beer instead and leave it for the next day. Again Nottinghack trumped all with a firebowl and 80 ish meters of EL Cable (the latter from an anonymous, handsome and enigmatic donor). Fuzzy headed the next day I started to set up my stall, quite literally! From the first item that went onto the table we had visitors and started talking shop, it's was the first time I've had face to face contact with my customers and it was a really amazing experience. This was day one! Man it was busy! But just so good! My view of the event was mainly from the other side of this table but I met so many interesting people it was well worth it. It was probably 21:00 when I decided to pack up for the night and get out my soldering iron and enjoy a beer. I've wanted to solder a LOL shield for some time and it was nice to sit down besides other people tinkering and chatting whilst also tweeting about it! The creator of the shield - Jimmie Rodgers, even tweeted back with his record soldering time! About 40 minutes I think! The Sunday saw me start out with a bit of a stock take, of course this didn't last long again as people wanted to talk cool stock! I ended up spreading my stock across the ground sheet and becoming a one man electronics bazaar. Not stopping until it was time for me to head home and finish moving house! My take on the EMF camp was from a very narrow view point, quite literally, as I saw it over the top of my stock. But it was a really great and friendly event. I met so many cool people that I thought it couldn't be topped. A lot of people made the camp amazing for me, the hospitality of Nottinghack - Dominic and James in particular. Paul of Pimoroni who appeared with a coffee for me on the Sunday. The lock pickers with their safe cracking stories. All of the organisers who worked so hard to make sure everyone was fed, watered, sheltered, powered and networked. Hats off to all who attended though, you all made it a great event.